Quick-cure 15 min is the choice when working with large areas or more complex joints. 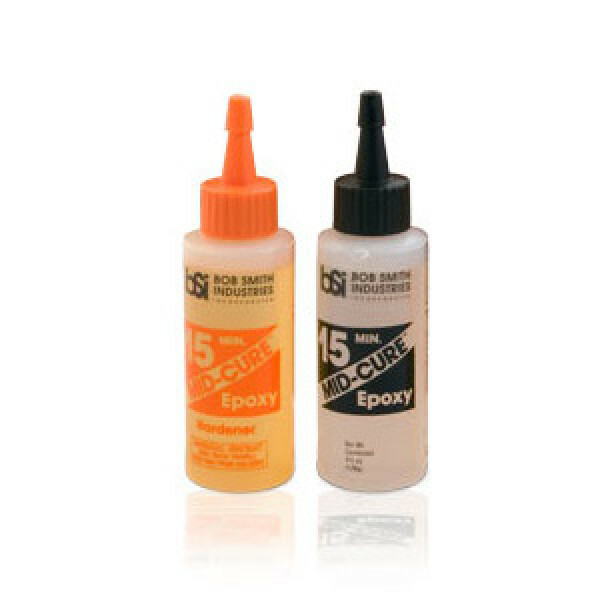 It is the most flexible of all of the epoxies and is more moisture resistant than Quick-Cure 5 min. It's properties make it the optimum choice for boding components to fibreglass surfaces, components can be handled after 45 minutes and full strength is reached after two hours. 4,5 oz bottles (approx 130grams) Quik-Cure 5 min cures to a slightly flexible consistency mak..
4,5 oz bottles (approx 130grams) Slow-Cure 30min. forms the strongest bonds, is waterproof an.. Formula 560 Canopy Glue from Pacer ..
Water thin viscosity means that Insta-Cure will wick deep into a joint by capillary action and se..
SUPER-GOLD™ and SUPER-GOLD+™ are our odorless INSTA-CURE CAs They are non-frosting and take only ..
Maxi-Cure™ extra thick CA is the best CA for most plastics, including GE’s Lexan MAXI-CURE™ is th.. The 21g(3/4 oz) size, dubbed the Pocket CA is available with Insta-Cure, Insta-Cure+, Maxi-Cure a.. The property of surfaces to be bonded has a direct effect on the speed at which the bond will cur..
INSTA-FLEX™ flexible thin CA is ideal for many applications, including the installation of CA hin..
9 oz bottles (approx 255 grams) Quik-Cure 5 min cures to a slightly flexible consistency maki..
9 oz bottles (approx 255 grams) Slow-Cure 30min. forms the strongest bonds, is waterproof and..
A higher viscosity CA, Insta-Cure+ is best suited for bonding surfaces that are less well fitting, t..
IC-Gel is a cyanoacrylate paste that is extremely thick which comes in an applicator tube like tooth.. Fills gaps. Works well on harder woods such as Bass and Spruce, even works on oily surfaces! Some us..
ABOUTSuper-Fix™ is two-part adhesive system developed to fill gaps and voids. It is sandable and pai..
MicroballoonsAre a great filler mixed with epoxy for gluing on R/C Aircraft - it helps thicken the e..
Cotton FlockAre a great filler mixed with epoxy for gluing structural areas R/C Aircraft - it helps .. 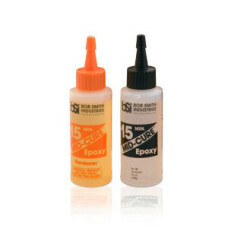 ZAP FLEXI-TIPS - Flexi-tips allow micro drops of glue to be placed in hard-to-reach areas. ALL..
Cyano - ZAP Z ends and Flexi tubing - Flexi-tips allow micro drops of glue to be placed in hard-to-..